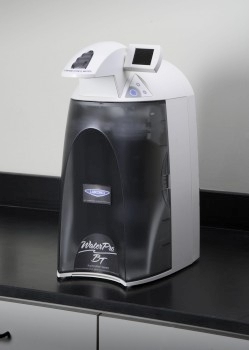 The Easypure laboratory grade water system is a perfect mix of simplicity, high purity and low cost. 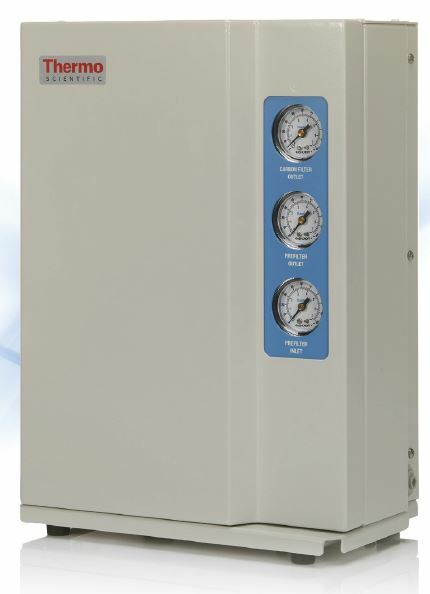 Easypure systems deliver 1 liter per minute of high purity water and offers some of the lowest operating costs on the market. 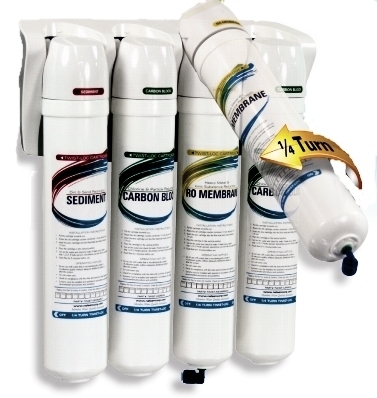 Easypure systems are available in 4 different versions to give you the purity level you need. 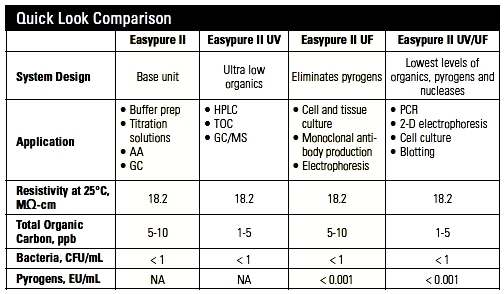 To select the right Easypure system, first you have to make one of two choices. The water supply for the Easypure system can either be pressurized pretreated water or you pour pretreated water into a built in storage tank. 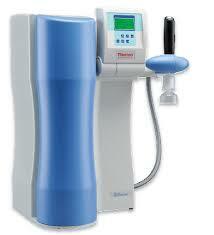 The RF series systems have a storage tank that you manually fill and then that water is purified. This is good for small batches of less than 1 liter at a time. 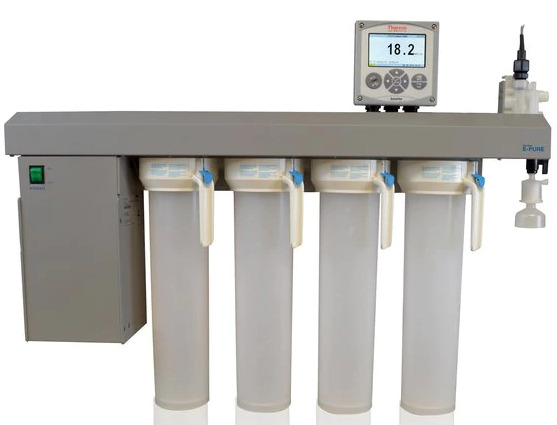 The LF series systems are permanently connected to pretreated feed water and deliver 1 liter per minute continuously as needed. Once deciding on the RF or LF series systems, you choose one of 4 purity levels. All versions deliver NCCLS Type I lab grade water. Type 1 water is > 10 megohm in ionic purity, silicate and bacteria free. 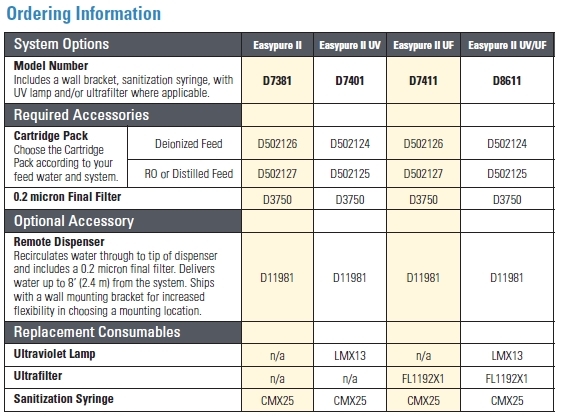 Some system versions include special devices for extra water purity for the treatment of endotoxin, pyrogens, ultra-low total organic carbon or combinations of all. These systems produce Type I water. They are used in general laboratory applications when ion and bacteria free water is needed. The addition of a special ultraviolet light allows these systems produce type I water with ultra low levels of organic contamination (< 5 p.p.b.). They are used in general laboratory applications when ion, bacteria and organic (toc) free water is needed such as chromatography, cell culture and other applications. 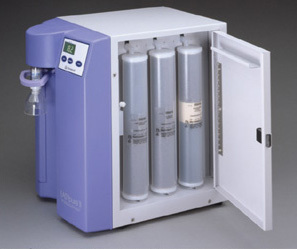 The addition of a ultrafilter allows these systems produce type I and pyrogen (endotoxin) free water. 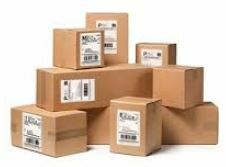 They are used in general laboratory applications when ion, bacteria and pyrogen free water is needed such as cell culture, glassware prep and media production. These systems combine both Ultraviolet and Ultrafiltraton technology to produce Type I, Pyrogen free water with ultra low levels of organic contamination. They are used in critical laboratory applications when ion, bacteria, organic (toc) and pyrogen free water is needed such as critical cell culture, growth media production, protoplasts and others.